Earn 54 points to spend on future purchases. 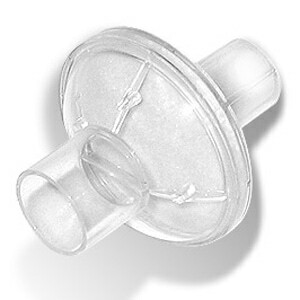 The nasal pillows for Opus 360 provide easy fitting with an excellent seal. The contours of the nasal pillows ensure greater comfort with an "off the lip" seal and a frosted texture which feels natural and ultra soft while also enhancing seal. The range of sizes provided (S,M,L) ensures comfort and seal are not compromised. The frame features smooth, soft pads with three-dimensional support structures. It conforms naturally to the shape of the face to provide a comfortable fit and reliable support. Its slim-line design allows side-sleeping without mask displacement. The precision contours of Opus nasal pillows ensure greater comfort and seal than more traditional nasal pillows. The Opus 360 Nasal Pillows Mask comes as an Out-of-Box Solution, fully assembled and ready for use with three sizes of Silicone Pillows (Small, Medium & Large) included. The innovative pivot system allows the tube to be anchored at the top or side, or left free to track. Elegant in design and simplicity, it firmly holds the tube in the desired position. Alternatively, the tube can be left unanchored so that the balland-socket elbow allows true 360° freedom. The advanced air diffuser system is quiet, minimizing the noise and draft of the exhaust flow to prevent both sleeper and partner disturbance. Opus 360 features updated headgear with a hidden strap release for simple one-step removal and adjustment. Headgear straps are soft and supple to flow with your face without pinching, snagging or dragging. In the Package Opus 360 CPAP & BiPAP Mask with Three Nasal Pillows (Small, Medium, Large) and Adjustable Headgear. 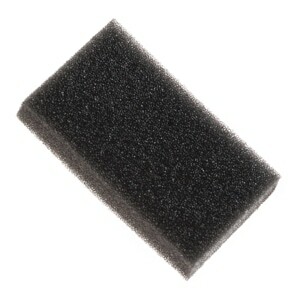 I have used a Puritan Breeze headgear exclusively for the 15 years I've used CPAP. Now obsolete, I decided on this headgear. It is very comfortable, easy to apply, and very quiet. My machine and mask are much quieter than the Breeze ever was. I'm very pleased with this and will purchase it again. Yes! Finally I have a mask that fits like it’s supposed to and it’d not all stretched out! Fast delivery, easy ordering....what's not to like? This is the most comfortable headgear I've used so far and have ordered it in the past. hint to manufacturers: please someone start making the breeze headgear again. this one is okay sort of but I am still fighting it to get the straps to not fall off at night. Just a replacement for the above nasal mask. I have used this mask for years and have no problems with it. Good service and shipping from Direct Home Med. Fair price and came fast and as expected. Opus 360 Nasal Pillow - Where have you been? I finally switched over from a mask to a nasal pillow and after just one night of using my new Opus 360 I realized that I waited too long. The headgear and nasal pillow set up is so much more comfortable and easier to wear than my old mask set up. Easier to put on and easier to adjust. Much more comfort because of fewer contact points. I have worn them for about a week and gave up wearing the other night. I am constantly awoken by the leaking inserts. None of the included ones seem to fit without much struggle. I need to see if there is a return option for something more like i have been using the cup that covers my nose. I have used this product before. I will continue to buy. Very good. Wish they sold replacement cheek pads. Everything arrived quickly and was perfect! This is the only one I can use it’s great!! Exactly what I expected! Great Value! I LOVE THIS OPUS 360 MASK. IT FITS MY NOSE AND STAYS IN ALL NIGHT. I WILL BE ORDERING MORE MASK AS I NEED THEM. Overall this mask and head gear are great and very comfortable to wear. The only downside I've found is that the nasal pillows don't last very long, even with daily cleaning, they begin to not seal around my nostrils. Fortunately I can use the larger pillows until the head gear doesn't stay taunt. This is the third year I've purchased the Opus 360 from Direct Home Medical. I have two CPAP mask, one is a non-silicone mask and of course the Opus 360 Nasal Pillow mask. My preference is the Nasal Pillow mask because of the fit, and minimal leakage. The headgear design that has the hose attached to the top of the head gear is very comfortable. This design allows you to sleep on you side without the hose interfering with your comfort. My provider said that i would not like a nasal pillow style mask, and had me try three (3) other type nasal mask. None of their mask have the comfort of this nasal pillow mask. I personally purchased this mask to prove my sleep apnea technicians incorrect. Proof positive that the professionals are not always correct. Great mask. I have used this mask with the nasal pillows for about 8 years. I am very pleased with the quality of the product. Nothing even comes close to my Breeze nasal pillow mask. Stiff straps press against my face and very wet with sweat each morning. I'm going to need a different model. The pillows are made a little different than the ones I've used. I have to move them around to keep air from leaking. I've used these pillows for 11 years and do not need one each of three sizes to choose from. Two of these are wasted and it would have been wonderful to have been given a choice of size to maximize the value of my purchase. I'm a big believer in options for intelligent, free people who do not need to be micro-managed by big corporate or gov'ment. :-) However, that is the only negative! The site is super easy to navigate, product descriptions are complete, the discounted price and shipping are competitive, and the products I received are exactly as described and expected and they work perfectly! Thanks for a good shopping experience. If prices hold, I'll be back! I have a ResMed AirSense 10 that came with a Airfit P10 Mask. The hose was always hard to get comfy with when I laid on my sides. I got the Opus 360 where the hose is attached in the middle so I can now sleep better on my side. I gave it 4 stars because it doesn't play very nice with the ResMed AirSense sometimes. But I have tweaked things like the nasal pillow and humidity and it seems to work better. My numbers look better. After using the opus 360 nasal pillows cpapmask for about a month, the hose connected the mask , broke with a crack. there are 2 issues I have with this: the hose did not seen as durable as a prior hose I had, and the part of the hose that broke is a permanent part of the the mask assembly, which means a whole new mask will need to be purchased. My husband like that mask and when I chat with the customer service, they very helpful to us and my husband very happy to replace the mask! It worked as advertised. 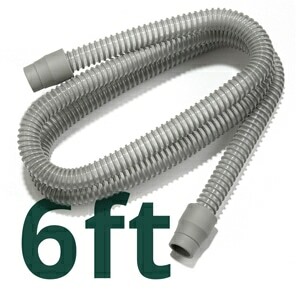 I use it with a bed that has a headboard which I put the CPAP tube behind so that the hose is always at the top. This facemask makes sleeping really easy with this type of arrangement. Without the headboard, not so much. On a side note, if you do not wash your hair every morning you will end up with your hair standing up on your forehead. Critical, no, but sometimes irritating. I loved this mask until it was causing split ends in the front of my head from the mask rubbing on it. My hair is slowly disappearing from that spot. Not a good look on a woman. Tried to put it to the side but does not work that way even though it says it can. The material that sits up against my cheeks doesn't breath at all. I wake up in the middle of the night with itchy cheeks and in the morning my cheeks are red from lack of oxygen on my skin. There is no perfect CPAP mask! But this one is good. Well like the title suggest I have never found the perfect CPAP mask, nasal or otherwise. They all some good features and some drawbacks and the Opus 360 Nasal Pillows Mask is in the group too. That said it's a pretty good mask. Comfortable enough and quite enough, it delivers the air competently. It's a bit fussy to get adjusted just right so make sure you consult the manual while doing so as if you do not the experience with it is not as good at all. I've had pretty much zero issues with leakage which is a huge plus. On the other side, you have to have the hose go over the top of your head as it does not react well to side pulling. Mind you it doesn't leak but the in the nose part of the pillow is just not as comfortable that way. 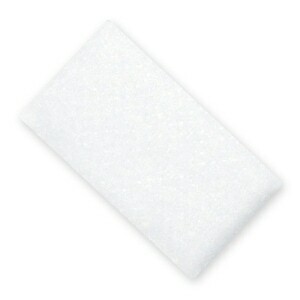 The nasal pillow itself is easily removed and replaced for cleaning and the head strap is adjustable to most head sizes. All in all it's a pretty good nasal mask. As with anything your mileage and results may vary. The nasal pillows seal well,even when side sleeping.The head straps stay in place all night.The only negative is the excessive air noise at the swivel joint when side sleeping.Overall,a great mask ! thought this would be the right mask. Hoping this would be the right mask, but I fight with it every night, and can't sleep. Finding an article like this is not easy. I was happy to be able to locate your company and order online.....no hassle, no muss or fuss. It fits my machine perfectly. I'll be sure to order from you when the need arises for any other devices or accessories. I was disappointed that I could not use the mask. I could not get the pillows comfortable in my nose, head straps just didn't fit me well. I also didn't like the hose going over my head, mostly because of the way my bed is arranged. Ordered this item to replace my old CPAP Mask. Identical to what I had before and just as efficient. Will definitely order this item again from Direct Home Medical. I find it to have a better fit than my prior nasal pillow mask in part due to the fact that the tube doesn't tug down on it. On the other hand, the back strap has been sliding up during sleep but possibly in part due to the fact it's not tight enough. Overall, a good purchase ! Best fitting nose piece I've had. More upward pressure to hold it in place. this head gear is the best . I ORDER THIS THINKING IT WOULD BE BETTER WITH THE TUBE OVER MY HEAD.VERY UNCOMFORTABLE AND HARD TO PUT ON AND AJUST. Hard to get used to. The nasal pillows irritate my nostrils and have to remove. Ok, this is the best nasal pillow that I have tried. I does not touch my upper lip so it does not irritate or itch. It does go, slightly, into the nostril. That ensures a good seal. However, it will detach from the apparatus, from time to time. That needs to be addressed. Also, the part that touches your cheek, itches. It needs to be made of better material. Overall, still much better than the Respironics version! i dearly love this mask. This is the only one I will ever use again. I love the fact that I do not have to fight with the hose every time I change positions at night. It's awesome. So happy I found it online. All the review I read about it convinced me to give it a try. So glad I did. Totally happy with it. When shopping, I found the headset's simple design appealing. Upon inspection it appeared to be well built. When I actually tried sleeping with it on, however, I wwas not so impressed. The ridged cheek pieces would dig into my face, even with the padding underenath. In fact, this ended up being the most uncomfortable mask that I have ever used. To make matters worse, when I would roll onto my side, the pillow would press on the cheek pieces and, again due to their rigidity, the mask would leak. I saw that many other users ranked this mask highly but, for me, this was simply a no go. Excellent product, I've finally found the replacement for my discontinued mask! At first I really liked it, feeling that this nasal pillow mask was the best I'd ever used in about 20 years of CPAP therapy. The "universal" ball swivel still keeps the hose away from my nose (which the 360 degree swivel on Go-Life does not), but then I started having the nasal pillow come out of it's frame numerous times. The ball swivel popped out of it's socket a few times too, but was easily put back in place, so I'm not "docking" if for that. If they could get the nasal pillows to stay "mounted" better, it could be a winner. The shape of the nasal pillows is better than most others I've tried. (I'm staying away from the Nuance Pro "gel" design, which does not center itself in my nose well and started leaking gel out within a month.) Maybe I'll try the Swift FX next. the nasal pillows are wonderful wish i tried them earlier just keep the cost down i recommend these to anyone that has trouble with the mask. I'm a skeptic and hard to please ( unfortunately ) BUT!!!! Placed my order for a CPAP mask and it arrived the following day! I will continue doing business with DHM. Excellent price, ease of ordering and timely delivery! My order arrived within a reasonable time and the entire process was trouble free. Excellent customer service & pricing. Nothing not to like here. I was quite happy to have received the item I ordered in such a short time. The item was what I ordered and I was impressed overall. Thanks! I am a sleep tech and a Cpap patient. Hands down this is the best nasal pillows. F&P one of the only kind that has an off the lip design so you don't feel like you have a fat lip in the morning. Also, the only type that has 360 swivel which is nice for side sleepers. I always sleep on my side and this never leaks. If it does you need to tighten the straps or change pillows size. The padding on the cheeks is nice and I make it even more comfortable with strap wraps that are fleece and stop you from sweating. The silicone is superior and much more comfortable then Resmed or Resp. nasal pillows that have caused myself and my patients nose bleeds. The Aloha where they tried the off lip design. Wire in headgear and silicone uncomfortable on Aloha. 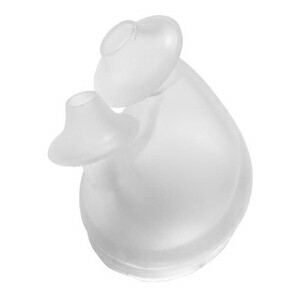 Hands down my patients even against the new Nuance prefer the OPUS Swivel 360, when they try them on side by side the Nuance's nasal pillows are huge. Only room for improvement would be a non slip headgear, lighter and lighter tubing. You will sleep well and achieve your REM cycle. This is the best fitting mask and headgear I have found, especially for those with beards and mustaches. Would definitely recommend you give it a try. A CPAP user since 2000; I'm a side sleeper and I've always had trouble with leaks and air blowing into my eyes as I slept. Waking up with a dried out and swollen eyeball is terrible. Sometimes it takes two or three days for the swelling to go down and my vision to return to normal. After the latest episode I decided to try nasal pillows even though I thought I would hate them. Thankfully this mask worked wonders. It is the most comfortable mask I've ever used. No leaks, no pressure points, the best sleep in years. And after 18 months of use, no sign of deterioration. I will use this mask as long as they make parts for it. After reading several reviews on how good this mask fits, I decided to take a chance and order. I have a mustache and it came highly rated for people with facial hair. I have had this for 2 weeks and finally gave up on it. I tried re-fitting it about a dozen times, tried all the nose pillows AND still major air leakage. In fact it either keeps me up or wakes me up when I switch positions. In fact the pillows have even came out of the housing a few times in the middle of the night. Was disappointed that the pillow housing is not adjustable either like other masks. Going back to the Swift. Don't waste your money, you'll be sorry! Very prompt, courteous service....I plan to use them again! The headgear was exactly what I had ordered. Because the description of this head gear stated it could be used for back or side sleeping I purchased it to replace my Breeze head gear. I fought with this head gear for 4 nights making constant adjustments to the straps but no matter what I did the pillows leak on the side I was laying on. I had the side straps so tight at one point that my face was hurting but still the pillows leaked as soon as I laid my head on the pillow. I tried all 3 sizes of pillows with the same results. I have tried different masks for years with limited to no success. Constant air leaks, lack of comfort, and falling off in the middle of the night was the norm. I actually gave up on CPAP until a friend of mine suggested that I try this mask. I have used it for 2 weeks now and have never slept better. I don't even know that it is on my face. The overhead design is perfect. No hose to fuss with in bed, and it is extremely comfortable. Love it. Your product was priced lower than most of your competitors and the shipping is faster than most! I completely recommend Direct Home Medical for any needed supplies. I think this nasal pillow mask seals well, but the foam they use for padding in the cheeks is hot and sticky. I liked the neoprene they used to use. At least it breathed. This is my second Opus 360 mask. Very comfortable for sleeping on side or back. The straps consist of neoprene laminated with soft fabric on each side. Velcro strips attach to the fabric. My only beef is the straps are not stitched along the edges, so the straps delaminate and come apart especially anywhere velcro is attached. This was the first mask my caregiver recommended, and the only mask I have used. It took a little while when I first started using CPAP to get used to having something on my face, but after a short while I got used to it, and now do not even notice it. I even use the OPUS mask when taking a short nap in the afternoon, as then the nap actually does some good versus just wasting my time. Give me CPAP or give me death! After waking up with a triangular imprint on my face for 3 years, I heard about nasal pillows from a friend who just went on CPAP. For a year I will split my time between an apartment and a house, so I ordered an Opus 360 (and a second Philips CPAP machine) for the apartment. I liked the Opus 360 so much that on the third day I had it, I ordered another one, to replace the triangular mask I use in my home. I can sleep on my side, and I wake up without any significant marks on my face. There is some benefit from trying out the different size nasal pillows, to minimize air leakage, and adjusting the straps helps as well. I cannot compare the Opus 360 to other nasal pillows, but it sure beats the triangular mask. The design is an improvement but I need pillow smaller than small! I have fibromyalgia and everything hurts me. This is the fourth nasal mask I have had. I put the cheek snuggle hose on it. Sometimes it makes my nose really sore. I am a side sleeper so I think none are made for side sleepers. I have bought the pillow. I would like for them to make extra small or petite nasal pillows. I think the small is too large for me. The Opus 360 Nasal pillows has been the most comfortable sleep mask I have used. Light weight, simple headgear design and different sized pillows make this the BEST! I would urge all that need just nose coverage for sleep mask to try this. After trying several types of masks I found this one to be the best for me. I am a side sleeper and this Opus mask is perfect! I no longer pull my mask off in the middle of the night. I sleep the entire night with my mask on. Don't do it....the thing leaks and I can't seem to get a proper fit. It's fine if you sleep on your back all night, but it you move at all it will leak and wake you up. Some nights it seems like a six hour battle. My dog chewed up mine and needed a replacement, quickly. Got what I needed, great price and took only a short time to get it. I replaced my Opus headgear with a new one. The company has changed the design. The straps don't allow much room for adjustment when the person has a large head. I seem to be adjusting it all night long to get the nasal pillows to fit right into my nose.